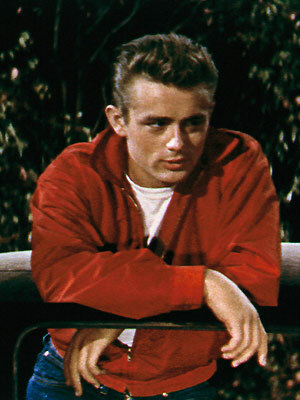 In “Rebel Without a Cause”, the only person who knows what in the world is going on is James Dean – not his character, but the actor. And what he knows isn’t the same thing as what the director or the characters are striving to discover. Dean knows that he is a better-looking, more laid-back version of Marlon Brando, albeit without the manic genius. His famous, “You’re tearing me apart!” scream of anguish is an embarrassingly sophomoric mock of Brando’s “Stellaaaa!” in “A Streetcar Named Desire”, released just a few years earlier. I cannot say that “Rebel” is a good film and yet I do not want to continue writing on a totally negative note. The massive impact that the film and its star James Dean had upon an entire generation of moviegoers and filmmakers is too important to take a swing at it simply on its own merit. A movie starring a mythic icon, one who strongly connected with the youth of its day, needs to be viewed and judged almost completely in the context of its time. The film was released when my parents were only five years old, and so not only am I far removed from the angst of the teens of that generation, but even the stories I heard from my parents about their younger days only went as far back as the early 60’s. What will happen to the movie, then, when my generation is in its retirement years? If all of us, totally disconnected from the mood of that time, dismiss it as stilted and antiquated, who will preserve its value as a social artifact of the 1950’s? Though we will still be able to dig up the writings of the old critics, would it ever again be screened in classic movie theaters, when we have so many “better” choices? I might be exaggerating the potential for its demise, what with the internet and digital replication providing easy access to just about anything. Yet even something laying in plain view can disappear from sight if you change your perspective. And “Rebel Without a Cause” has the feel of movie that is one or two steps away from falling askew of historical perception. The film itself is slick and stagey, the choreography blatant and the script is an uneven mix of hip banter and the screenwriter’s interludes of imposed ‘meaning’. There are times when it feels like “West Side Story” without the songs. Yet there is an overlaying tone of anxiety and impending doom, completely unearned by the plot or the characters, yet brilliantly established by Nicholas Ray’s direction. I think what pierced the hearts of the youth in 1955 was this tone, combined with the imagery of the smooth, angst-ridden Dean in his red jacket. We have seen the plot line a thousand times since “Rebel”’s release over fifty years ago. A troubled youth (Dean) with clueless parents runs afoul of a gang of tough, knife toting high school kids. He either has to beat them or prove his worth to them, and in the process does them one better and steals the gang leader’s girl. There is hardly any subtlety to be found, as mommy- and daddy- complexes abound (arriving like a hammer to the head, in case you aren’t paying attention) and the parents of the high-schoolers across the board are horribly obtuse and inexplicably helpless in their attempts at discipline. What surely enticed the teen audiences in 1955 was the recognition of themselves in the movie. Not in its most extreme dramatic episodes involving the shootouts, but rather in the confrontations with other teens, the fruitless arguments with parents, the apparent uselessness of the police and the mysteries of love. The fact that all of these themes and struggling characters are packed into the film without any relief – there seems to be only one normal, sane person in the film, the police psychiatrist – generates a powerful feeling of edginess, though at the same time it sometimes feels more than a little ridiculous. Oddly, we are never let in on why all of the teenagers in the film are so disturbed. Perhaps this is part of the appeal. Often, teens and their parents have no clue why they act the way that they do. Yet raging hormones aren’t quite enough to explain how middle-class high school students are daily involved in casual knife fights, chicken-runs (car racing towards the end of a cliff) and the complete loss of self-control ending in shootouts with the police. One character might have these issues; if it is all of the kids, then things start to play false. But again, is the value of the film in its encapsulation of all the feelings and dreams and nightmares of the post-WWII teen generation? I believe that director Nicholas Ray deserves a lot of credit for tapping into the abstract world of the modern youth. James Dean may very well have become a great actor. Neither of these things makes the film great, but it is an undeniably important part in the history of the cinema. This entry was posted on April 25, 2010 by Ian Kay. It was filed under Rebel Without a Cause (1955) and was tagged with James Dean, Nicholas Ray, Rebel Without a Cause.